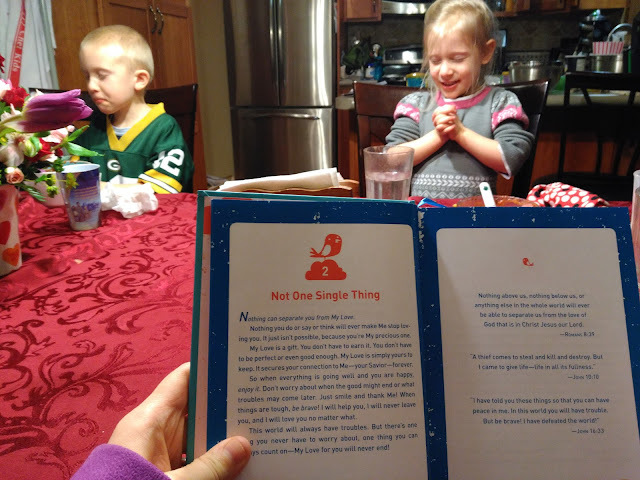 Doing a devotion as a family every night after dinner is a tradition we wanted to start while our children were young so that they can hear God's word from little on and let it impact their life on a daily basis. It's a great time for us to study God's word as a family and the Bible verses inspire all of us daily from the littlest to us parents! Here are two of my children praying as my daughter says the prayer after the devotion. Although I love the message of this devotion book, these devotions are definitely better for older children (like 6-10 years old). The devotions are written in first person speaking as God and that was hard for my younger children to understand. However, they were short devotions and I love the message of each devotion and the Bible passages included with each reading that only emphasize what God is saying to us. I can't wait to pull this one out in a couple years and be reminded of all of God's beautiful promises! 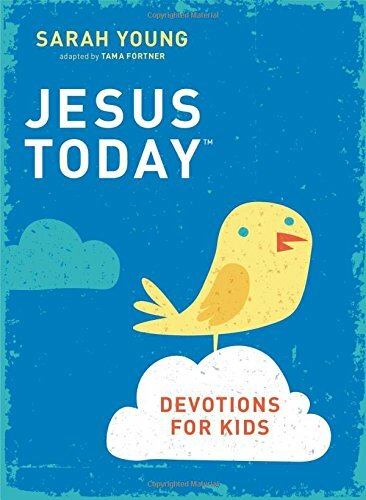 (1) Jesus Today: Devotions for Kids book to a lucky winner!